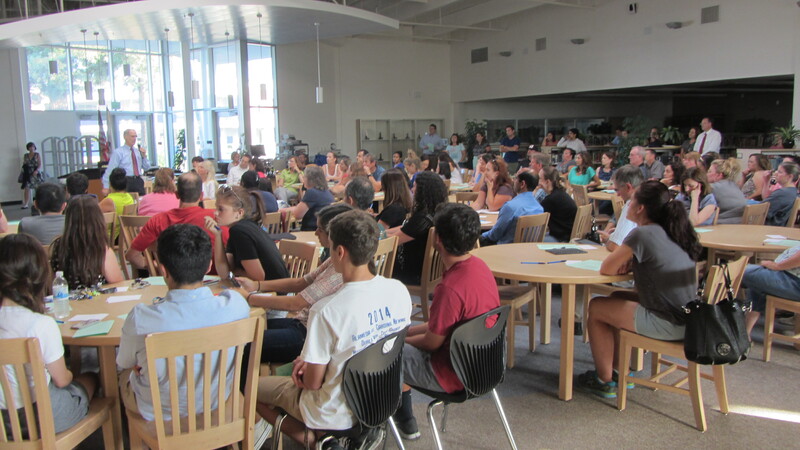 On the heels of a Town Hall meeting presented at Fallon Middle School last Thursday, the Dublin Unified School District (DUSD) offered a second community-based opportunity to learn about a significant change to the regular bell schedule at Dublin High School under the moniker of the College & Career Readiness Program (CCRP). As was previously reported by OneDublin.org, this initiative would seek to add a 7th period to the Dublin High school day and to extend the release time to 3:21 PM in the 2014-15 academic year. The initiative is based largely upon the results that have been achieved at Stevenson High School in a suburb of Chicago. This particular school site has roughly twice the enrollment of Dublin High School. However, 20 years ago, Stevenson implemented and continuously refined many of the principles of the Professional Learning Community (PLC) that have been adopted across the country. These principles represent radical changes to pre-existing statutes that are employed in many schools. Some of these changes include enhanced collaboration for teaching staff, embedded interventions throughout the school day and an added period where interventions are included, but one that would allow high achieving students to “jump start” work on their required studies inside of the master schedule. On Monday, the discussion was both lively and relevant. 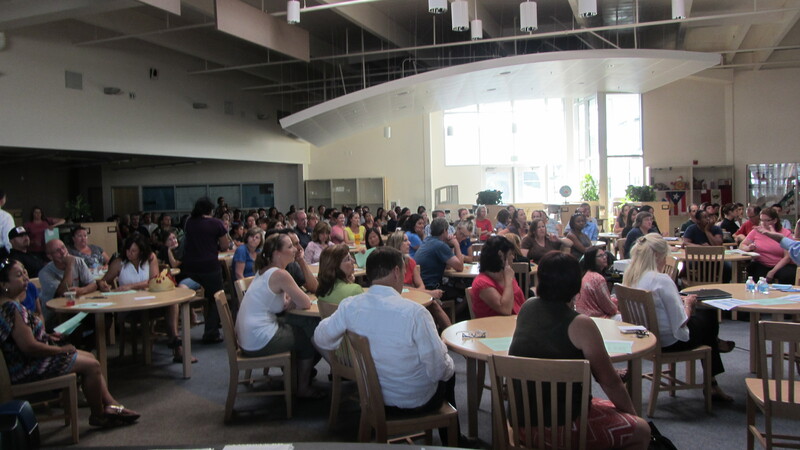 Both parents and students were allowed to chime in on their thoughts to this potentially new process. The dialogue will continue at the regularly scheduled Dublin Unified School District Board of Trustees meeting slated for a 6:30 PM start. OneDublin.org would highly encourage all interested parties to participate in this critical discussion which has the potential to be implemented in the 2014-15 school year. While no decision will be decided upon by the trustees on Tuesday, the potential remains that a decision will be rendered at the June 24th meeting. Thanks for the update OneDublin! It’s sounds like an excellent idea. I’m just curious as to how quickly this can be done? And if credentialed teachers are involved in the intervention/ extra class? I didn’t see an answer to that question. Kerrie, based upon feedback provided from the two community town hall meetings, intervention segments would involve credentialed staff – specifically ELA and mathematics in the first year – perhaps expanding into other subjects in the following year. However, the “Gael period” would be staffed with “adult” supervision.